Today is Halloween for all the trick or treaters, but it has religious significance as well. It was on All Hallows Eve (October 31), 1517 that Martin Luther, monk and professor of Bible at Wittenburg University famously nailed his Ninety-Five Theses to the door of the castle church -- at least that is the story. I know there are questions about the facticity of the event, but he did issue a challenge to the church concerning what he perceived to be abuses. I shall not go into them here. I want to note that in part the Reformation of the Sixteenth Century has roots that go back much earlier and lasted well into the seventeenth century. It was a complex movement that occurred both inside and outside the Roman Catholic Church. At one level the Reformation centered on the question of authority. 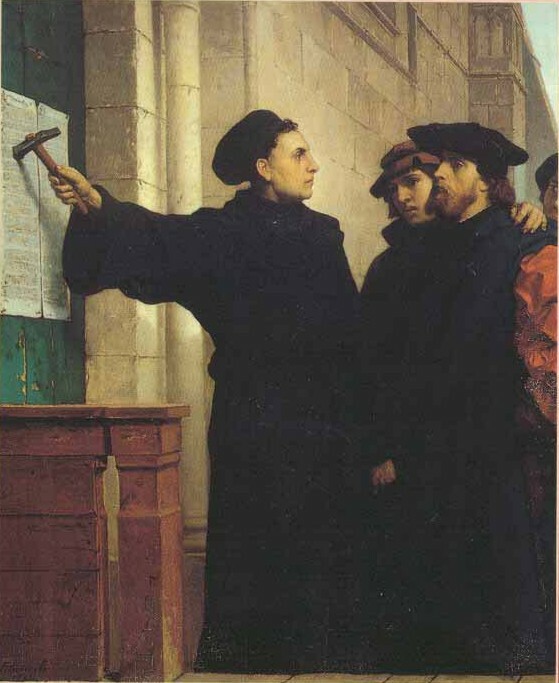 Early reformers such as Luther, Zwingli, Calvin, Cramner, and Menno Simons sought to root their reforms in Scripture, placing church tradition below Scripture leading to the hallowed principle of Sola Scriptura. Although the authority of the early fathers, councils, and even medieval theologians weren't rejected outright, the Reformers insisted that Scripture be seen as the norm for faith and practice. All other authorities were to help interpret Scripture. Of course, there were also church-state issues to sort through as well. Then there are the purported abuses that the Reformers sought to address, including the selling of indulgences, the immorality of the renaissance papacy, as well as the perception of the general worldliness of the church, all of which encouraged calls for reform. Some of these reformers, such as Erasmus and Ignatius Loyola chose to remain within the Catholic Church, while Luther, Calvin, Zwingli, Thomas Cranmer, and Menno Simons broke with the Roman church. Luther's emergence as a Reformer was very personal, for it emerged out of his desire to find justification before God. 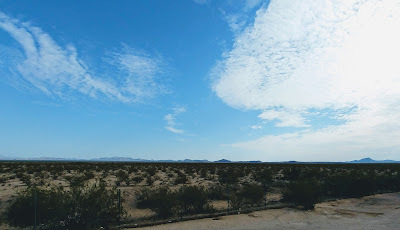 It was only as he discovered that justification, and therefore salvation, came from God by faith and not by works that he was able to embark on his reforming career. There are many reasons and explanations for the Reformation, some have to do with theological concerns, such as justification by faith and scriptural authority, and others have to do with political considerations. Luther, Zwingli, Calvin, and Cranmer are referred to as the Magisterial Reformers, not because of the majesty of their work, but because it was undertaken with the support and authority of the magistrate. Wittenburg, Zurich, and Geneva, were all governed by princes or local councils who sought to gain autonomy from the Holy Roman Emperor. Cranmer's Church of England had also broken with Rome over political concerns, and true reform occurred within that church only gradually, only really taking hold after 1559 and the Elizabethan settlement. Though Zwingli, Calvin and numerous other reformers contributed greatly to the success and expansion of the Protestant Reformation, its greatest figure has to be Martin Luther. Luther, though he was a biblical theologian and not a systematic theologian, ranks with St. Paul and Augustine as the greatest among Christian theologians. Thus it is logical that we begin with this "father" of the Reformation. The Key to Luther's understanding of justification is his definition of faith, for we are, according to Luther and in line with the letter to the Ephesians, justified by grace through faith. For Luther faith was more than and intellectual adherence to truth. For him, faith was "an actual fellowship with God, in which man places all of his trust in God and looks to Him as the source of all good." That is, faith, for Luther, was complete trust in God's mercy. "Faith, however, is a divine work in us. It changes us and makes us to be born anew of God (John 1)); it kills the old Adam and makes altogether different men, in heart and spirit and mind and powers, and it brings with it the Holy Ghost. O, it is a living, busy, active, mighty thing, this faith; and so it is impossible for it not to do good works incessantly. It does not ask whether there are good works to do, but before the question rises; it has already done them, and is always at the doing of them. He who does not these works is a faithless man. He gropes and looks about after faith and good works, and knows neither what faith is nor what good works are, though he talks and talks, with many words, about faith and good works." [Martin Luther, "Preface to the Epistle to the Romans," in Works of Martin Luther, Philadelphia Edition, 6 vols., (Baker Book House, 1982), 6:451-452]. Although justification comes through faith, Luther made it clear that faith was not a virtue, that is being in the same vein as hope and love, but the receptive organ by which one receives God's gift of grace. Faith in essence is an acceptance of the fact that God has already accepted us on the basis of the cross. It is only as we understand God's acceptance of us in Christ that we can embark on the life of faith. May this brief reflection be a beacon of hope on this last day of October, whether or not one considers oneself to be an heir of the Reformers.